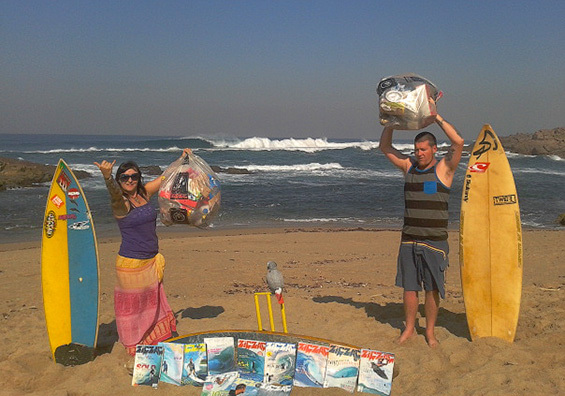 For the past few years, Zigzag have teamed up with Tuffy to bring you our Beach Clean-Up competition – in which we reward eco-conscious folk with kiff prizes. 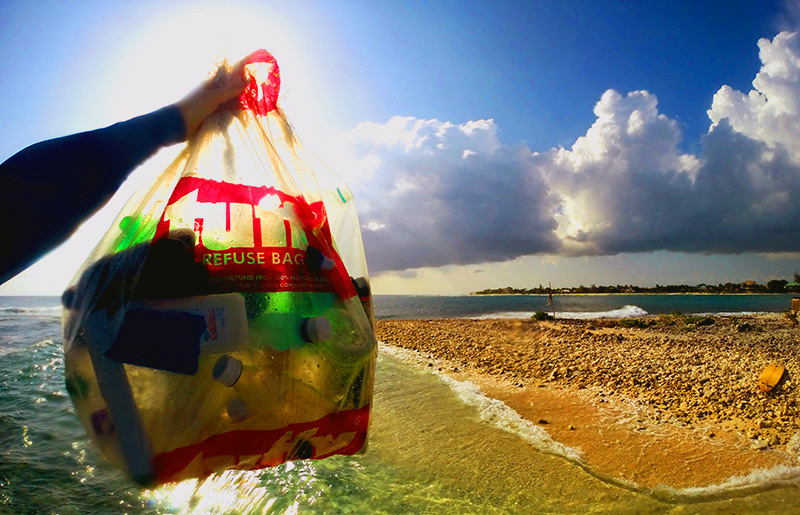 Clean your beach and win with Tuffy, Firewire, Share the Stoke and Zag. Firewire and Share the Stoke have joined our partnership for this year’s Clean-Up, and they will be giving away one brand new Firewire surfboard each month to a lucky entrant who sends us proof of their efforts in keeping their beach playground clean. We’ll be including a 100% recycled plastic Tuffy bag in Zigzag 39.8, which you’ll be able to use for the competition. 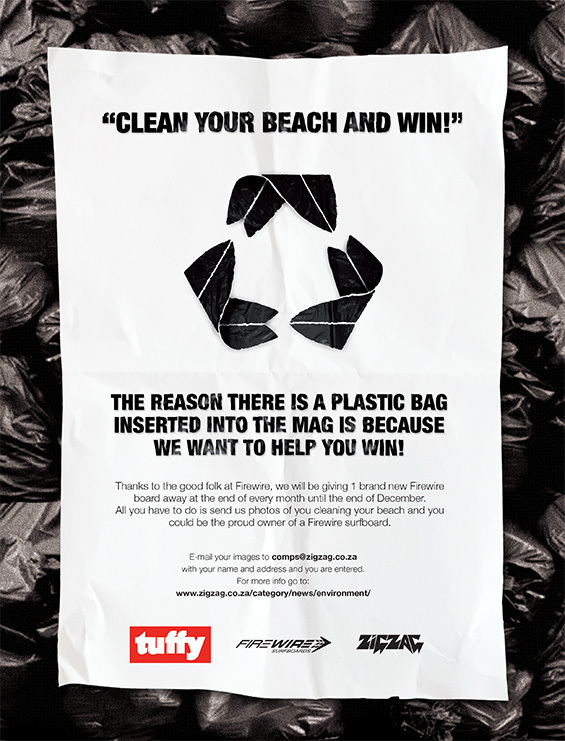 Until these arrive you can use any Tuffy bag to clean your beach and win; just make sure you snap a photo or capture some video of your good enviro-deed and send evidence to comps@zigzag.co.za along with some info of when, where and why. 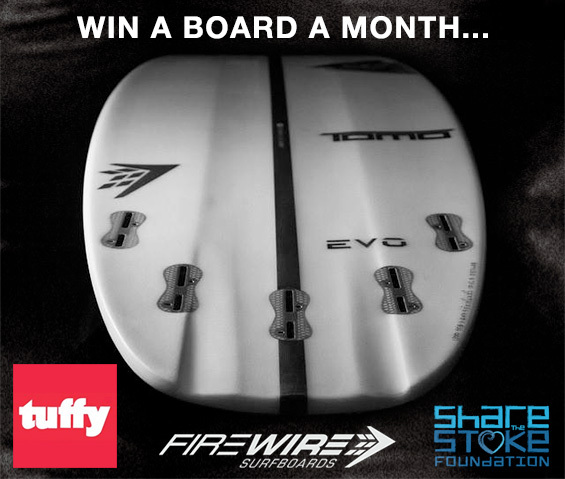 Firewire and Share the Stoke will be giving away six boards during the course of the comp, so if you don’t win with your first entry then keep your beach tidy by trying again. And thanks in advance for helping us keep Mzansi’s coastline clean. Monique Lyle and Wesley Flanagan (and their parrot) took top honours in last year’s Tuffy Beach Clean-Up. How’s that cooking wave just off their clean beach? !